Can I ask you an honest question? If you are an avid user of Passionfruit's advertising system (as I am), how do you feel about all of the big changes going on? Honestly, I don't know how I feel about it yet. It's a HUGE change and I kind of feel a little in shock! I mean, I totally get where they are coming from...like, totally get it...but I am still digesting it all. I guess I kind of feel like it came out of nowhere? Anyway, I found myself going back and forth these last few days, between canceling my account with them and just biting the bullet and paying the new fee. But, I am happy to say, that after a few discussions with the hubbie, we decided it might be a good idea to keep our account for this first year, pay the fee, and see what happens. Hopefully it's a smart and beneficial move! This means that you've got a few different choices on how you can be a part of our advertising/sponsoring party! Papa Bear Ad Spot: This is by far the best way to get exposed. Being both the biggest ad spot and positioned on top of all of the rest, you are guaranteed to get noticed the most. 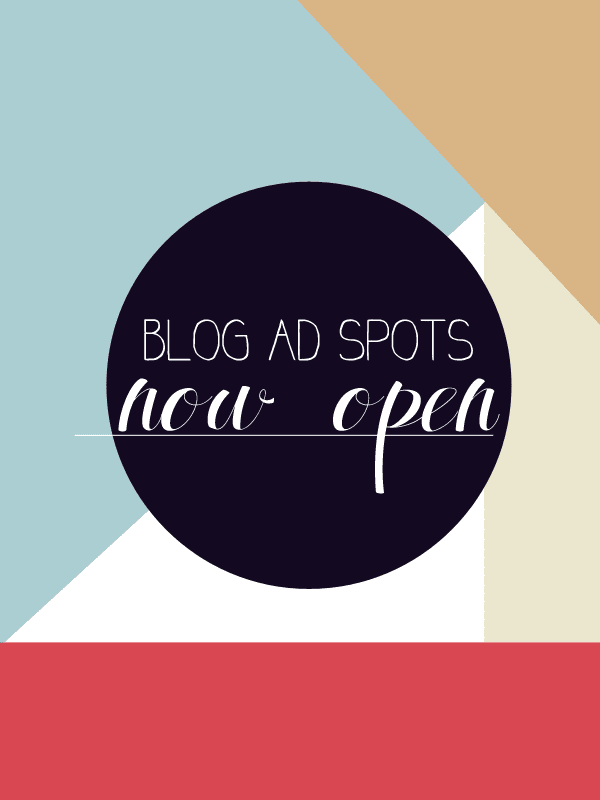 Plus, included in this ad is a SOLO post featuring and spotlighting your blog/shop and organic mentions of how great you are throughout your 30 day period! Baby Bear Ad Spot: This is a great way to get yourself out there, for the amount you'd pay for a latté. Shown under the Mama Bear advertisers, this spot also includes organic mentions throughout your 30 day period via my social media! Free Swap: Yeah, I'm keeping the free swap option. With sometimes up to 10 inquiries a day about this, I just couldn't see it go. Good news is, now you don't need a promo code to get this spot, it's free right away ;) Holla! I would seriously love for you all to join in on the new fun we're going to have with this little Passionfruit upgrade! I intend to continue my frequency of posts, and am SO excited for this upcoming month! We're talking some amazing recipes, neat-o features and a super awesome giveaway (I kid not- I wish I could enter this one, guys).